Is Apple playing catch up in the post Steve Jobs Era? There was a time when Google and Sony based their innovations and developments on every new product that Apple launched. Be it the first iPhone back in 2007 or the iPod back in 2001 or even the revolution in the digital music through the iTunes. 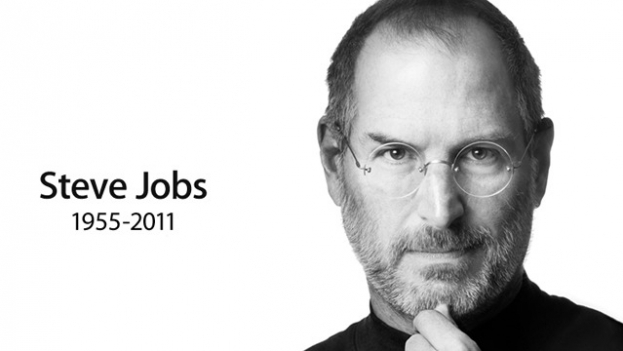 It is true that the aura of Steve Jobs enthralled the crowd at every launch. But it is also important to note that these launches were followed with equal enthusiasm by their technology rivals. And it was not the aura of Steve Jobs that kept them on their toes, but instead it was his vision! The rest of the world just played a second fiddle to Apple – from the Androids to the rebranded Walkmans. Just like online search is now known as google search, digital music came to be knownn as iTunes and portable music players came to be known as iPods. In fact for a period of time smartphones were called the iPhones. As harsh realities of life started to take their toll on Jobs, things started to change… Over the past 3 years, the rest of the world has caught up with them. In fact some have even started to move ahead of Apple. Here are a few instances of those. Although it was being touted around for several years, the idea of smartwatches really started to gain momentum in early 2013. Rumors were several. Apple didn’t do enough to quell those rumors as well, with the 6th Generation iPod Nano with a strap around it showing promising signs. But in my view, what really made Apple take a step backwards, is the way they discontinued the “watchlike” nano and reverted back to the traditional “classic-style”. Not only did it send a rather indirect message for a smartwatch in the works, but it also set the think-tanks of the Samsungs and Googles to start working on one. And whats more, it took almost 3 years for them to announce the iWatch and another 6 months before it will finally be launched. By then, the Pebbles, the Motorolas and the Samsungs would have already reached their second and third revisions of smartwatches. For long Apple avoided this question by stating small screens are what the consumers want. Well, they got the answer when the 5″+ displays by Samsung, LG and Nexus started to gain market share over the iPhone 5s. Even an Apple fanatic like me, started thinking about switching over to the “dark” side due to this. As tablets and phones started to converge into the “phablets”, they finally caved in and came out with the bigger screens. Yet another case of Apple trying to catching up. Although the revolution in digital music was started by Apple, enough for it to dominate the streaming music space, they fell behind once again, mainly due to misinterpreting the consumers needs and wants. The result – an iTunes radio, way after Pandora, Google and Spotify took away all the market share. Yet another example were the emergence of cloud and its popularity was embraced rather late, that even Microsoft were way ahead when Apple finally did take off. Not all of these can be blamed on the post Steve Jobs era. Some of those, esp. the bigger screen iphones can be atrributed to Jobs’ reluctance to accept the popularity of Samsung smartphones. But what Apple lacks now is a true visionary, who continously strives to turn every new product into something “magical”; that aura which enralls the audience to believe that everything that Apple brings out is revolutionary; a person who commanded respect and strove for perfection. I must admit the last few WWDC and product launch sessions were rather bleak in terms of the products and features. It almost felt as though they were still hanging on to those golden ages between 1997 and 2011. And it is rather painful for a diehard fan such as me to fathom!